This Friday marks the end of a long and rainy week in Seattle. While I’m glad we missed out on #Jonas2016, sometimes I do wish that every once and a while our rain would turn into snow. This weekend I’m throwing it back to my college days with some karaoke at an old favorite dive. A favorite mostly because they never bothered to check my ID back in the day. Hope your weekend is filled with as many power ballads as mine and enjoy this week’s roundup of favorites from across the web. 1. Tina of Just a Tina Bit always has the best shoes. This relaxed Valentines Day outfit features the red lace-up flats of my dreams. The only caveat? They apparently need some breaking in. 2. This new story about a cheese heist made me giggle. 3. I love seeing The Everygirl diversify their career profiles with a feature on Neonatalist and UCLA clinical professor Valencia Walker. She is one smart and badass b*tch. 4. Is it just me or are mascara marketing terms confusing? Plumping, voluminous, lengthening, fanning…which one do I need? Because it sounds like I need them all! This week, The Blonde Salad came to my rescue with a guide on how to pick the right mascara for your lashes. 5. Next weekend, Teach for America will mark its 25th anniversary with a summit of alumni and corps members in DC. As a former corps member, I’m looking forward to reconnecting with colleagues and engaging in discussion around pushing education and income equality forward. Bonus: Janelle Monáe is the headliner for the main event. I love Tina’s causal Valentines Day look. That sweater is too cute. I’m obsessed with mascara, and the Blonde Salad article is so helpful. Your lashes do always look good so the obsession makes sense! I can’t believe I missed this post! 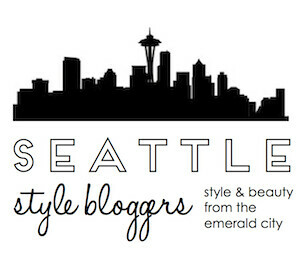 I am so honored to get a mention on your blog! hehe And what, I had no idea you did TFA! I knew several people from business school that did it too and they’re going to the conference. Have a great time! Girl, where have you been?! Lol. Oh I wish I had known about your friends ahead of time so I could have met them! Although the conference was crazy big.